I picked up these little nuggets at the Brooklyn Flea last week. 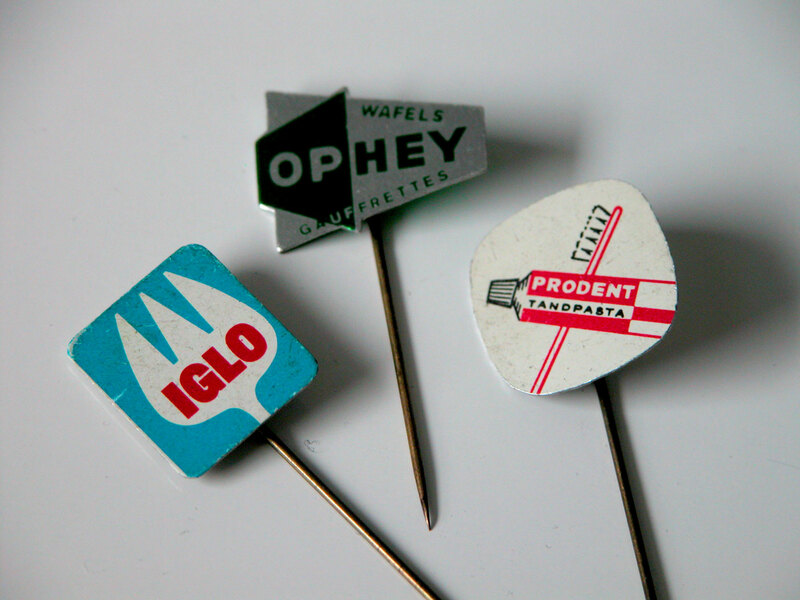 I'd be lying if I said I knew exactly what these were, but they seem to be tiny little metal ads for household products, retrofit into lapel pins? If anyone has any further info, send it my way! EDIT: This just in... Ian Sigmon proposes these are Cake Testers. A valid theory!